Improving the lives of children is the primary mission of the HRCC. By harnessing the enthusiasm and innate sense of responsibility found in the automotive enthusiast community, the HRCC successfully raises funds and awareness of the various children’s causes at events throughout the year. While many charitable organizations focus on a specific need or group, the HRCC aligns with a variety of local and national organizations representing a multitude of causes. This allows the HRCC to effect positive change in the lives of many different children with many different needs. 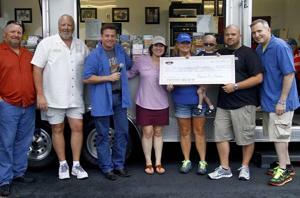 The Hot Rodders Children’s Charity is a certified non-profit 501c3 agency.